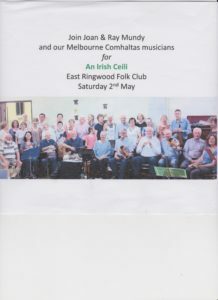 The Comhaltas musicians under the professional guidance of Joan and Ray Mundy will play for a ceili in the East Ringwood Folk Club on Saturday 2nd May. Entrance is from Knaith Road, off Dublin Road. Melway 50 B8. Come and join the Comhaltas musicians and dancers and friends for a great night. The McCarthy family are currently touring Australia performing and showing the screening of the documentary film: ‘Handing Down the Tunes’. The documentary covers the life of their father from his early days to his years spent in London, followed by his return to live once again in Clare. Many of Tommy’s contemporaries, such as Joe Burke, Noel Hill, Reg Hall, Paddy Glacken and Martin Hayes also contribute to the film. 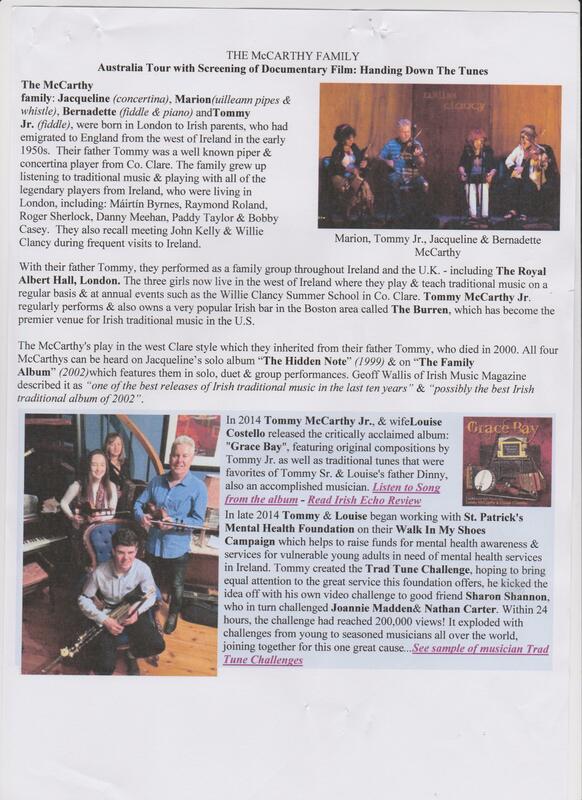 This very talented family consisting of Tommy, his wife Louise, daughter Rose and nephew Peadear, can be seen on Thursday 9th April in the Senior Citizens Centre just behind the Collingwood Town Hall. There will be a door fee to cover expenses of hiring hall, equipment etc. Come along and enjoy a musical night with this talented family. More details to follow. For more information ring Mary on 9435 4435. 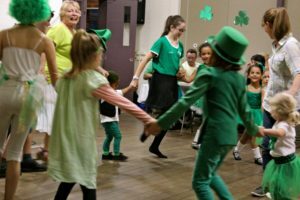 Comhaltas will once again hold its family dance on St. Patrick’s evening 17th March from 7pm until 10.30pm. It is at our usual venue, St. Philip’s Parish Hall, Hoddle Street, Abbotsford next door to Collingwood Town Hall. This early starting time is to accommodate those school children who have to go to school the following day. Come along and join in the fun. 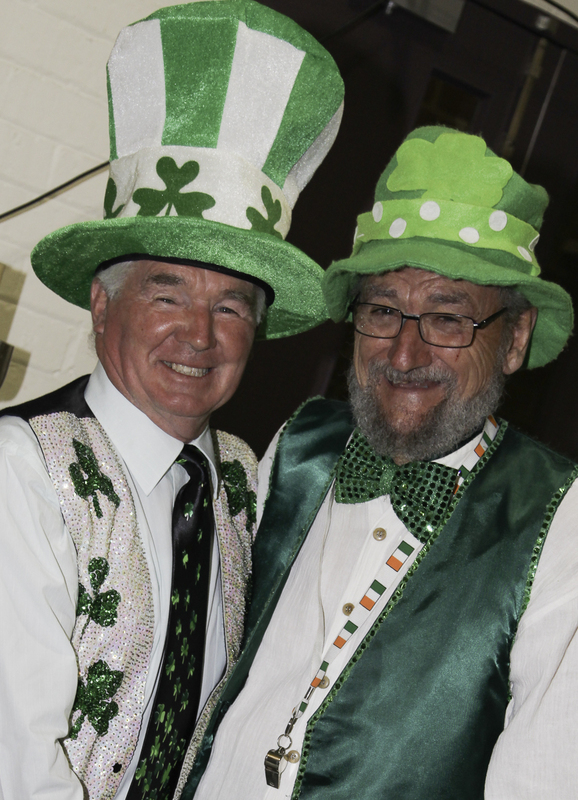 Dress up in your stylish ‘Irish’ style and win a prize for best dressed boy or girl. Lots of dancing, music and a beautiful supper. All for $15 per adult, $10 for members and children FREE. Melbourne Comhaltas commences the 2015 year this Wednesday 28th January at 7.30pm. 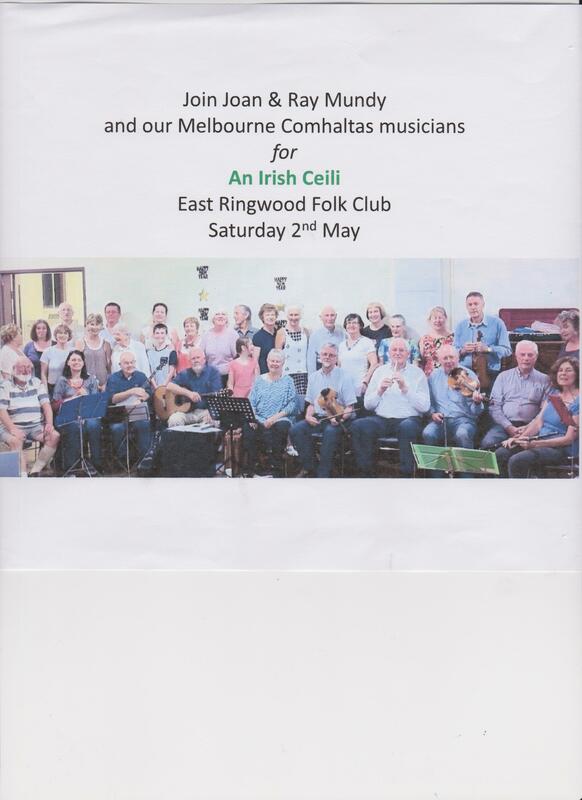 Joan and Ray will once again lead the musicians and Marie Brouder will put the dancers through their paces. Hope you can make it. If not to play or dance just to have a wee cuppa and talk about the holidays. Melbourne Comhaltas is having its annual Halloween family dance this year on Saturday October 25th 2014 in St. Philip’s Hall, Hoddle Street, Abbotsford, next to Collingwood Town Hall. Come along in your scariest outfit and join in the fun and games with your children and friends. 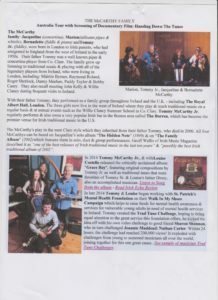 Dance and jig along to the music of our own Comhaltas musicians. It is only $15 for adults; teenagers $5 and children under 15 free!! From 7.30pm to 10.30pm and a great supper is promised!! For more information ring Mary McBride on 9435 4435.